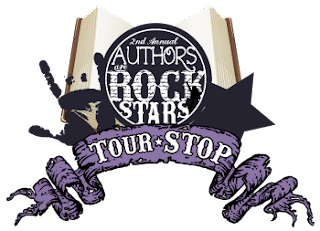 Today I'm part of 2nd annual Authors ARE Rockstars blog tour. This is my second year participating in this super cool tour, and this year I'm hosting AMAZING author Suzanne Young! Now, the first order of business is this WHY is Suzanne Young a rockstar author? Let me give you just a few reasons. 1.) She's a teacher! Yup, that's right, she's a high school creative writing teacher! It doesn't get much better than that. Sure, it's great if you're an author and share you craft with the world, but Suzanne goes one step farther and shares her craft with budding authors my age! And she's super dedicated to them! Earlier this year she was set to go on tour for her newest book (and by that I mean her newest book written ALONE) The Program but her classes had finals when she would be gone, so she STAYED with them. Now, this made me grumble because, Dude, I wanted to see her on tour (she was supposed to come to my city), but the fact that she gave up an all expenses paid tour to stay with her classes? Major props there. I respect that ALL the way. 2.) She writes books that are DIFFERENT. Cheerleaders that go undercover to catch cheating boyfriends? Angels that are meant to be forgotten? A teenage suicide epidemic? Now really, be honest, now often do you read about those things in YA? I'll answer that for you, NEVER! Some people say that we're all just writing the same story over and over again with different details, but those people have obviously not read Suzanne's books. 3.) She writes with EMOTION. Granted, most of the time that emotion ends up being sadness, so you're sitting there reading her books and you find yourself making these weird strangled noises that make other people go "that's not a good sound" (What is this from!? Know the answer? You get an extra entry in The Program giveaway!). Maybe you're thinking, "but I don't WANT to read a book that will make me cry, I want to read a book that will give me tummy butterflies and make me laugh" and I totally get that, but the best part is SHE DOES THAT TOO! You show me a book that makes you laugh and swoon AND cry (that's NOT written by John Green and isn't a contemporary) and I'll read it ASAP. There are like, a dozen more reasons I could come up with, but I'm sure you're all going "get on with it already, besides, we ALL know how super she is!" 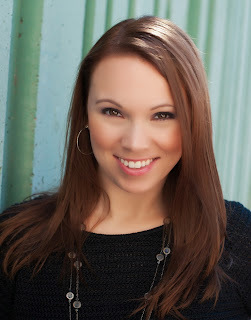 Today I'm SO happy to have Suzanne here on my blog with an interview. At the end of the interview I've also personally added FIVE giveaways, so make sure to check those out as well. Hi Suzanne, it’s an honor to have you on the blog today because I’ve just adored all of your books that I’ve read. PLTF: A week from today you’re newest book will hit shelves. You co-wrote Just Like Fate with fellow YA author Cat Patrick and it’s a little different than your previous books. What can we expect in JLF? SY: Just Like Fate is a story about choices and how one small decision can change our lives. Do our mistakes define us? In the novel we see two possible scenarios play out (no supernatural elements needed), and watch as a girl ultimately deals with responsibility and first love. PLTF: What was it like writing a book with Cat? SY: It was a blast! Cat is a great storyteller and together I think we really did something special. We alternated chapters at first, surprising and entertaining each other, and then we both revised and edited to keep the voice seamless. It was a perfect pairing for me. PLTF: The Program would probably best be described as a dystopian novel, but I think at its heart it’s so much more than that. It deals with a really hard subject, teen suicide, and although it’s filled with love and support there’s this undercurrent of fear that seems to run through it. Why teen suicide (or suicide in general)? And where did you come up with the idea for The Program in the book? SY: I’d been writing a contemporary novel on suicide for a long time, but I couldn’t find the right tone. In fact, although much of the story was true, it wasn’t coming across as believable. Non-fiction can be weird like that. I’d also started on two other novels that weren’t quite right and set them aside. One day I realized I could fit the three stories together in an amazing way. I created new characters and used elements from the other novels. The emotions in The Program are based on real emotions, and it wasn’t until I exaggerated the world (a suicide epidemic) that the big feelings really seemed to work. The Program is personal to me—and I’m very proud of it. PLTF: NEXT year we will finally see what happens to Sloane after her adventures in The Program. The Treatment doesn’t come out until the very end of April, but maybe you could give us a small snippet to help tide us over? SY: THE TREATMENT starts off immediately after book 1 ends. We’ll get a chance to see Sloane and James escape. We’ll meet the rebels. Realm will return. But the epidemic has gotten worse and The Program isn’t going to let Sloane and James get away so easily. THE TREATMENT has more action, more desperation, and more of The Program. PLTF: And last but not least what are you working on now? There’s an untitled book attributed to you on goodreads, is that something we can expect to see in the future? SY: Right now I have two new books coming out after THE TREATMENT, but they haven’t been announced yet. On top of that, I’m currently working on a new idea I’m SUPER excited about. It will have mystery, romance, horror, and a strong emotional element that I don’t want to give away. Contemporary or paranormal/fantasy/sci-fi? I like to mix them together. So fantasy with a contemporary feel. Happily ever after or happily never after? Happily Ever After. Zombies or vampires/werewolves? Vampires (I still love True Blood). If a book is too sweet, I generally won’t read it. The last book I read and loved was The Coldest Girl in Coldtown by Holly Black. If I had to live inside a book I would choose something with a lot of romance, but little death. One upcoming book I’m excited about is Where the Stars Still Shine by Trish Doller. Thank you so much for answering all of my questions today Suzanne and I can’t wait to read more of your books. If you keep working we’ll keep reading (wow, that was super cheesy!). Originally from New York, Suzanne moved to Arizona to pursue her dream of not freezing to death. She currently resides in Tempe, where she teaches high school English. When not writing obsessively, Suzanne can be found searching her own tragic memories for inspiration. Suzanne is the author of several books for teens, including THE PROGRAM, A NEED SO BEAUTIFUL, and A WANT SO WICKED. Find her on Facebook or follow her on twitter. Thanks to the release of Just Like Fate and the fact that Cat is a Seattle local Suzanne is coming here to tour with her. That means that I can get ALL of the books I have planned for these giveaways SIGNED. You MUST have a US/Canadian address. If you live outside of the US/Canada and have friends/family you can mail it to, great, if not, I'm sorry but you can't enter. (Please note this isn't because I don't love my international followers, I DO, very much, it's just that with five books and crazy postage rates [and also now being a poor college student] I just don't have the money! I am not responsible for any lost, stolen, or damaged prizes. Should you win an ARC you must swear NOT to sell it. If I find out you did you will be excluded from any further contests. I'd really love to read "A Need So Beautiful" because well...that cover! Also "The Program," because it sounds awesome! Thanks for hosting Susanne and the awesome giveaways!! I've read A Need so Beautiful and A Want so Wicked. I absolutely LOVED The Program. Ones of my favorites of the year! I haven't read her books but I really want to read The Program, it sounds interesting. I have read The Program which I really liked and can't wait for the 2nd one to come out. I would love to start her series A Need So Beautiful. I read The Program and loved it. It was so good! I can't wait for The Treatment! I'm excited to read Just Like Fate and the A Need So Beautiful series. I've not read any yet, but I've wanted to read The Program since I first heard about it! I didn't see a place to leave my name and mailing address on the rafflecopter, and would prefer not to just leave it in the comments, so I guess I need to withdraw that entry for The Program. I have not read Suzanne's books yet. But this is a great introduction to her bibliography. Is it one comment for all or a new comment for each? Because I do want to read Just Like Fate - sounds intriguing. I've heard a lot about her books but never read any! I guess it's time to try! Thanks so much for being a tour host Anna! I haven't read any yet, but I hope to read them soon. They all sound amazing!! I am most interested in reading The Program. I have heard good things about all of her books. I've just finished Just Like Fate ARC and I really enjoyed it. I'm really looking forward to starting The Program series. I love A Need so Beautiful, but I still have to read the next book. Such a beautiful book *sigh*, that's why Suzanne is a Rockstar! Thanks. Just read The Program and loved it but the epilogue left me saying "what??". Can't wait for The Treatment. I read the Program earlier this year, and I absolutely loved it. I read The Program and I cannot wait for the sequel! Aaah! Loved it. I have read The Program. I loved it so much I need to own my own copy so I can read it again. I'm looking forward to The Treatment so much. Thank you Suzanne for giving us such an incredible book. I'm currently trying to get my hands on your other books because I know they will be just as wonderful. The only book I have read is The Program and I really loved it. I also just recently got a hardback signed copy of another one of her books when I was in Myrtle Beach so I plan on reading that soon. Her books seem very well written and touch on subjects that most people wont. I've heard so many great things but haven't had a chance to read any of her books! I do have The Program and I'm super excited to read it and so excited for Just Like Fate! Great interview and thanks for the giveaway! I haven't read a book by Suzanne Young but I have by Cat Patrick. The Originals was such a great book. The type of book that you can relax with but also be entertained. This is what I'm hoping for with Just Like Fate. I have not read any of her books. But, the "Need" series and the "Naughty" series really catch my attention. I've read the Need So Beautiful books and I really enjoyed them. I own The Program, but I haven't read it yet. I really want to read the Naughty List books. I love Suzanne's books. The Naughty List books were my favorites, but The Program is near the top of the list, too!